I have been so tired lately, I haven't been able to write up anything. But I have a bunch of posts that should be going up so I am hoping to get back in the groove again. Today's post features three polishes from Nail Honey, I came across this line on Instagram and I am glad I found her. 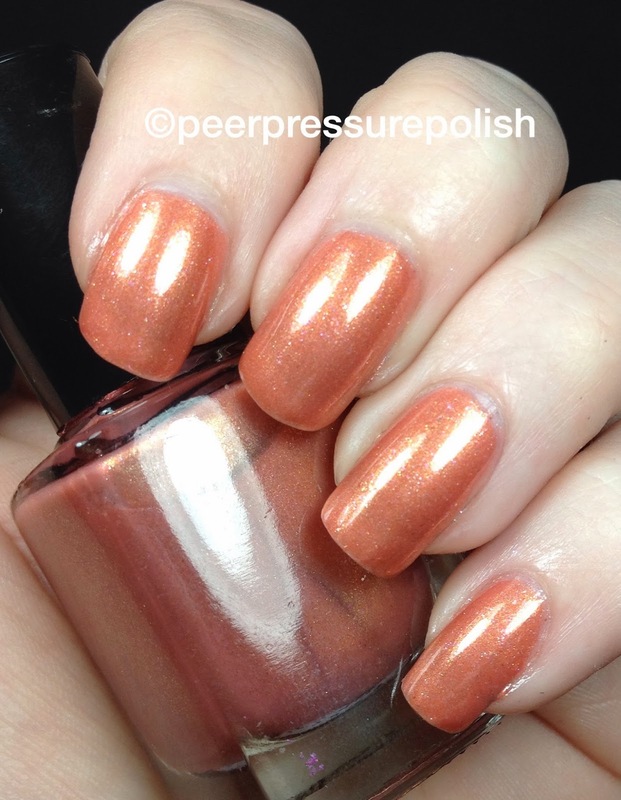 First up is Rose Gold, a lovely lovely shade that is true to it's name. This is four thin coats. "27 Candles" is birthday cake in a bottle! This creamy, strawberry base is filled with a rainbow of sprinkles in the form of hex glitters! On top of that, there's various micro fine glittahs that make this polish dry with a shimmery rose gold finish! I layered two coats of 27 Candles of Maybelline Canary Cool. Last, but not least, is my favorite Black Heart. I mean look at those hearts! This is shown two coats over one coat of black. 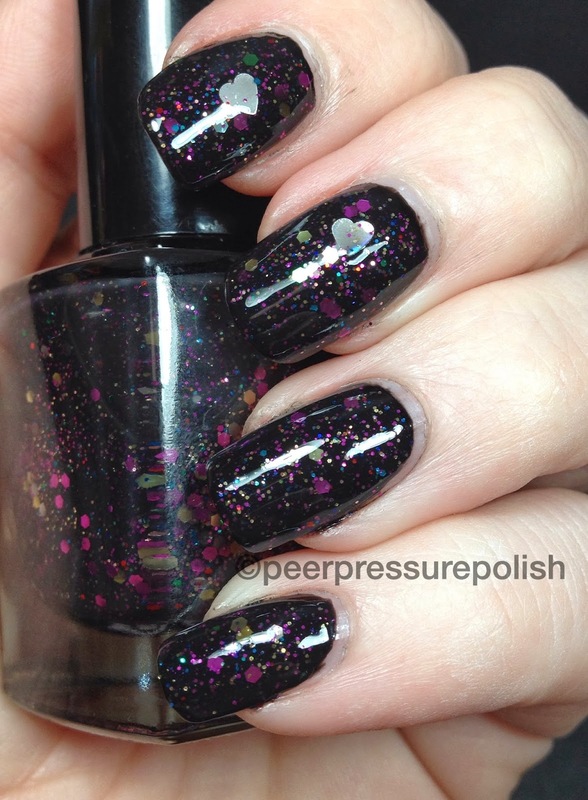 Her description : This gorgeous black jelly is filled with a rainbow of micro & hexagon glitters along with silver & red (not pictured) heart glitters! I really enjoyed these polishes and I already have my eye on a few. I have no complaints about any of these and would gladly purchase more from her.